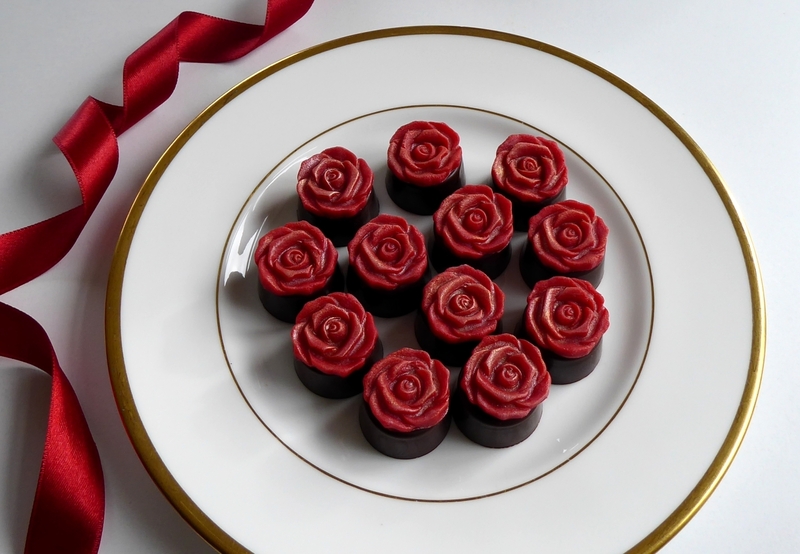 Thinking of sending a dozen red roses for a special celebration? Here's a box of chocolate ones that are both different and delicious! 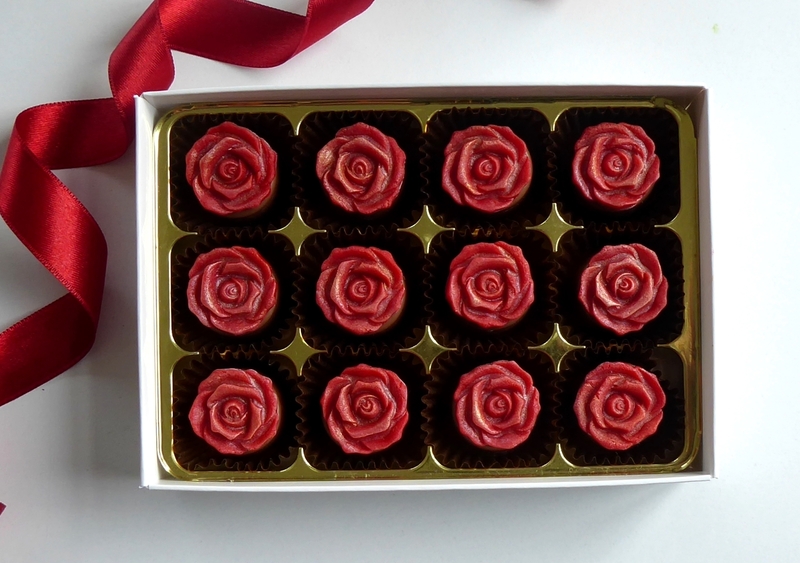 You can send chocolates decorated with all roses, or add your own message for a personalised chocolate gift. 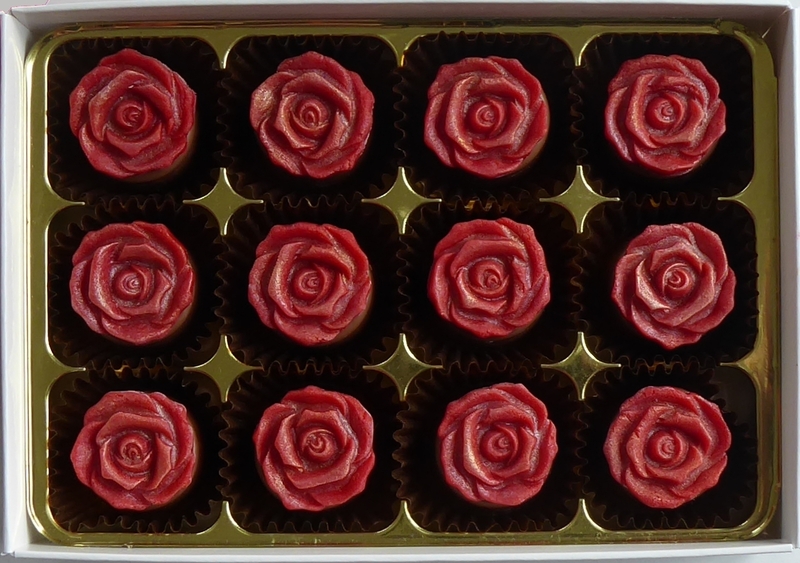 Choose from fruit flavoured fondant, caramel selection or almond marzipan and either milk or dark chocolate.